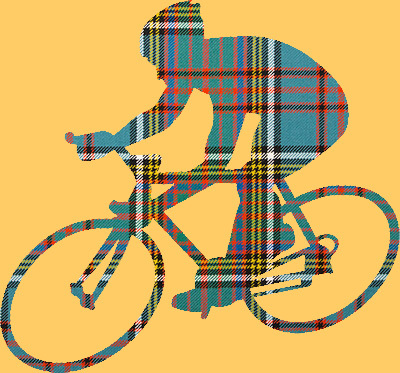 as a cyclist resident north of the border and without so much as a nod to nationalism of any particular flavour, i'd quite like to be a member of scottish cycling. i was under the impression it was an organisation that i was, indeed, attempting to join several years past, when typing the appropriate name into my web browser. you can perhaps imagine my slight confusion when the browser address changed to that of british cycling and i found myself staring at a scottish cycling badged web page that exists under the auspices of the national governing body. according to wikipedia, the scottish version is recognised as the governing body for cycle-sport north of the border (legally known as the scottish cyclists' union), but exists as part of british cycling. no, i don't quite understand that either. in light of the oft-quoted, substantially increased membership numbers quoted in recent years, i would have hoped a small portion could have been diverted to offering scottish cyclists a website all of their own. it does seem a tad incongruous that, from their base in the sir chris hoy velodrome in glasgow, they are responsible for helping train, develop and enter scottish cycling squads for the commonwealth games and perchance, the tour of britain. it seems possible there may be a slight conflict of interest when, as a part of british cycling, they are entering teams to compete against a similarly constituted english squad. apparently there is not only a board of directors for scottish cycling, but also the inevitable chief executive. but also i wonder whether the latter maintains a fulsome degree of independence from its manchester compatriots, or if there is a level of perceived subservience as witnessed by the web page that began this monologue. ultimately, it probably makes little difference, but having been under the misapprehension that i had joined the scottish version of a governing body, my membership pack arrived in the mail only a day or two, inside a british cycling badged, black envelope espousing the epithet that 'we ride together'. i'm taking that to mean british and scottish cyclists, but in truth, i'm not sure that's precisely what they meant. inside the envelope is a well-designed fold-out card emblazoned with 'welcome to british cycling', and featuring not one hint that i might have attempted to join scottish cycling. in fact, the only mention of cycling scotland is on the address label, along with beicio cymru or welsh cycling who also suffer from a lone web page on the british cycling site. the funding information included along the back of the card mentions hsbc-uk, lottery funded uk sport and lottery funded sport england. which has me wondering: does that mean sport england has some of it monies diverted to scotland and wales, or is it solely kept for the sons and daughters of st. george? lest you think i am verging perilously close to declaring support for scottish independence, let me disavow you of that notion. my sole gripe in this matter is that they have bothered to pay lip service by way of website branding. my membership card clearly defines me as a member of british cycling, a situation with which i have no real argument. but either provide scottish and welsh cyclists with cards displaying their respective logos, or streamline the whole situation, disband the doubtless expensive pretence that there are three distinct organisations and we can all live happily (and together) ever after. despite such moanings, however, i would recommend all regular cyclists to join either british cycling or the modern incarnation of the cyclists' touring club (cycling uk) if only for the legal and insurance benefits. and according to the nicely formatted card referred to above, there are a number of welcome discounts available to paid up british cycling members. but given the distinctly velocipedinal nature of this prospective affiliation, whose idea was it to include a car sticker? as the tour of britain wends its merry way to the ultimate finale of this year's event, allow me to be something of a killjoy and point out that, in order that this (and every other bike race) take place at all, substantial numbers of motor vehicles must be employed. invariably, each team sports at least two vehicles festooned with spare bicycles, wheels and goodness knows what else inside. there will also likely be a team bus and probably a mobile mechanics' workshop in attendance, not to mention a myriad of commissaires' cars, the inevitable press and photographers' motorbikes and a not inconsiderable number of police motorcycles and cars to ensure a safe rolling road closure. not to forget the ambulances, helicopter(s) and voiture balai. in mitigation, i do not recall any member of the tour of britain organisation claiming unsurpassed green credentials. there's no doubt that cycling is an emission-free mode of transport, one that fits easily into any government strategy to rid the nation's towns and cities of unwanted pollution. it's not entirely the fault of any particular government or of the tour of britain, that the uk's collective psychology leans far more towards motorised transport than that of the pedalled variety. that is an uphill struggle that is never going to be changed by any number of national cycle tours; as long as cycling is presented as a predominantly sporting activity, the average person in the street is scarcely going to ride a bicycle to work or school, inspired by geraint thomas or chris froome. the current trend (fad?) 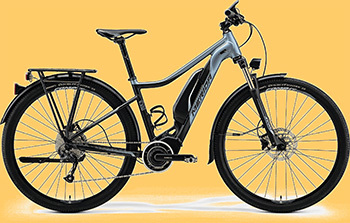 for electric bicycles might conceivably offer a moment's salvation, but unlike the common or garden analogue bicycle, its energy comes not from an extra bowl of porridge in the morning, but from the mains socket in the kitchen or bike shed. that electricity has to be generated somewhere; if via renewables, the green-ness is inherent throughout the cycle (pun intended), but after a summer of warm, windless weather, those wind turbines have had to cede priority to coal fired and nuclear. the same argument, however, can also be levelled against electric motor cars. but more recently, there is hope on the horizon. not, i might add, in relation to a lessening of bike racing's motorised dependence, but on a more individual level concerning one's garmentage. it's many a long year since eddy and his pals inhabited woollen jerseys and shorts; those have been superseded by lycra and polyester, both of which are nylon derivatives, which itself requires fossil fuel for its existence. however, one of nylon's more endearing properties is its ability to be recycled almost indefinitely without any apparent degradation. though it's likely this information is scarcely a well kept secret, it appears italian garment manufacturer, miti, may be the first to make use of this knowledge to produce its green soul fabric, composed entirely of recycled nylon. shutt vr, producers of the latest g.c. ristorante debbie's jersey, were so impressed by this fabric, that they adopted green soul for their top-of-the-range 2018 bibshorts. and just to underline their faith in recycling, they now offer it as an option for their renowned custom kit service. green soul depends not only on your old jerseys or bibshorts. 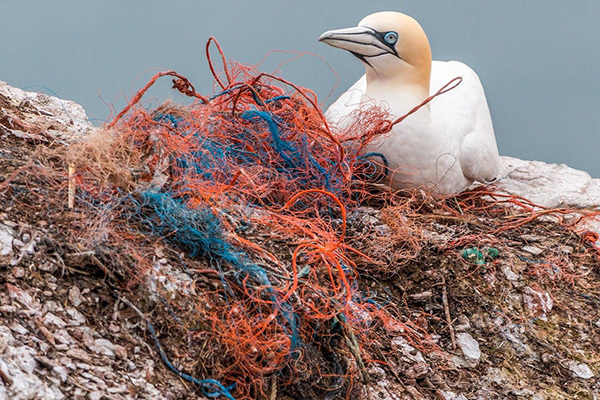 anything made from nylon can be recycled, including distnctly non-cycling products as carpets, fishing nets and industrial plastics, a substantial proportion of which apparently come from landfill and the oceans. according to government statistics (mostly a euphemism for propaganda) britain has never had it so good. or, if you'd prefer to devolve just a smidgeon, i'm sure holyrood would be happy to tell the population north of the border a similar story. a part of britain never having had it so good includes an unemployment rate that, as of june 2018, had dropped to only 4%, while scotland just tipped the scales in the opposite direction by an additional 0.3%. if these figures are even close to accurate, that means that most of us have a job to go to and in many cases that imitates the 1980 dolly parton movie 9 to 5 and probably monday to friday, though i'm unaware of any similarly named hollywood blockbuster. 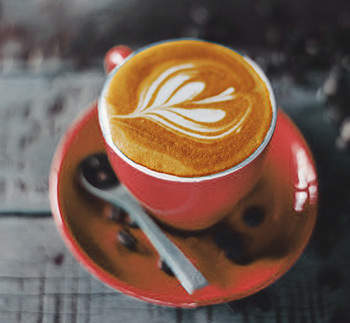 this ubiquity in the western, human treadmill has brought with it the connotations engendered by that monday morning feeling, a syndrome suffered by those whose mode of employ is simply a way of paying the bills, rather than the fulfillment of an earnest vocation. i am fortunate that i rather enjoy my daily travail and am thus immune from the monday morning blues (though i can play drums to it if you'd like to hum the first verse). however, i confess this was not always the case, having suffered an employment in a previous life on which the blues impressed themselves every weekday morning. but then, that's why weekends were invented, to offer a break from the humdrum; time made available to do, as my friend chris distefano (chrome industries) described it, 'yard work'. saturday mornings in the civilised world, however, generally entail a compulsory visit to the local averagemarket/garden centre/ diy store (delete as applicable), possibly offering a brief period of freedom come the afternoon, to either ride your bicycle or undertake routine, but necessary, maintenance on same. traditionally, sunday mornings are reserved for the weekly bike ride; though i have not investigated further, perhaps sunday bike rides are also compulsory for those with less than a passing interest in cycling in the first place? but, and don't tell me you didn't see it coming, modern society often lives by the mantra of 'give them an inch and they'll take a mile'. two days' rest out of seven is always welcome, but if the possibility exists to sneak a few more hours of playtime, you can bet someone will take advantage and currently that someone is yours truly. my employment consists of regular design work every second week, with the intervening week offering me the opportunity to either seek freelance work, or amuse myself in other ways. i am not, unfortunately, independently wealthy, so those intervening weeks are, of necessity, usually well occupied. but on the basis that nobody has ever lain on their deathbed, wishing that they'd spent more time at the office, i promised myself that i'd take at least a half-day to go bike riding, a promise that has rarely been fulfilled in recent times. so yesterday, racked with guilt over this apparent velocipedinal misdemeanour, i sneaked off just after lunchtime and went for a coffee at debbie's. if the opportunity ever presents itself, i can thoroughly recommend it. phileas fogg and his companion, the bizarrely named passepartout, were allegedly the first to circumnavigate the globe in 80 days, based almost entirely on misinformation. jules vernes' hero bet half his fortune with fellow members of the reform club that such an expedition was possible after arguing over an article in the daily telegraph. this had stated that, with the completion of a new railway section in india, round the world travel had received the final piece in the jigsaw. departing britain's capital city on october 2 at 8:45pm, along with his french companion (the previous incumbent having been dismissed for bringing shaving water two degrees below that demanded by his employer), the plan was to arrive back in london by the same time on 21 december, later that same year. 'around the world in eighty days', first published in 1873, would scarcely have become a subsequent classic had things all gone to plan along the way. aside from being pursued by a scotland yard detective, rescuing a young indian woman and missing more than one ferry connection, fogg was to discover that the railway connection on which the entire affair was based, ended fifty miles from where the telegraph article had stated. in the true style of the fictional adventurer, fogg simply hired an elephant and carried on. it's fairly common knowledge, even by those who have yet to read jules verne's narrative, that phileas fogg and passepartout succeeded in winning their wager after they thought they'd lost it. this, however, only after realising that, by travelling eastward, they had crossed the international date line and gained a day, but only after spending £19,000 of his personal fortune in the process. 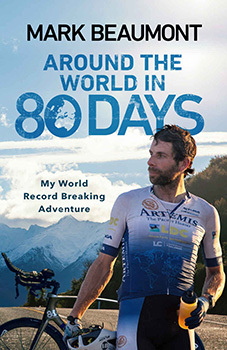 the sole comparisons between fogg's journey in the late nineteenth century and that of adventurist, mark beaumont, concern the direction of travel and the number of days over which travel was undertaken. phileas fogg's £20,000 bet with members of his club, was reckoned to be the equivalent of just over £2 million at the time of beaumont's epic cycle; mark had an unspecified amount of commercial sponsorship, but i seriously doubt (hope?) that it reached such heady proportions. mark beaumont originally gained fame (if not fortune) by cycling round the world in 2008 and subsequently remained in the limelight by attempting to row across the atlantic as well as successfully riding from cairo to cape town in the record time of a shade over 42 days. circumnavigating the globe in eighty days, however, was an undertaking of altogether gargantuan proportions, requiring as it did, an average of 240 miles per day. and strategically, the cycle ride required planning for three days of flights between continents and two days for contingencies. planning to ride 240 miles per day is one thing; actually achieving it is an entirely different affair. in order to test the waters, so to speak, beaumont and his support team, considerably greater than fogg's solitary companion, factored in a prologue of riding round the coastline of britain. for those who have just turned a whiter shade of pale at the very thought, beaumont appears to have considered the round the world trip after having become a tad disillusioned with his place on the sidelines. "...I had met and interviewed hundreds of athletes. The truth of the matter was that by the end of Glasgow 2014 I was utterly inspired and inevitably jealous: I wanted to be doing what they were doing, not asking the questions." once again, the dutch koga cycles provided a suitable carbon fibre road bike, while investment fund specialists artemis once again claimed top billing on his altura clothing. for though beaumont does not mention the total cost of the project, it's unlikely to have been completed on a shoestring, requiring as it did two camper vans containing professional video and support crews on each continent, as well as the engagement of individuals able to smooth progress through the vicissitudes of europe, russia and china. back home, there were others handling the communications, social media and public relations aspects of the trip. while the bike ride itself was not without its difficulties and obstacles, hiccups in the quest for sufficient sponsorship almost put paid to the grand depart from paris at the beginning of july 2017. aware of his own potential deficiencies in the almost professional vocation of raising sponsorship, mark engaged the services of an un-named individual who proposed to work effectively pro bono in raising a large proportion of the monies required. "He asked a foundation to pay for his salary... leaving him free to raise the rest of the £500k [...] the only catch was, he didn't raise a singe penny." suffice it to say, the money was eventually raised. the exploratory ride around the coast of britain proved that attaining and repeating an average 240 miles per day in the saddle, was not going to be as straightforward as it seemed on paper. but the british ride did expose more than a few deficiencies in the support strategy. however, since that was the object of the exercise, the learning process was better undertaken on home soil than miles from anywhere in outer mongolia. around the world in eighty days was effectively split into four parts: paris to badaling in china, before air transfer to perth, australia for the second stage to invercargill on the southernmost tip of new zealand. part three took him across the pacific by air to anchorage in alaska, from where he rode across canada to halifax, nova scotia. part four brought him by air to lisbon for the final leg north to paris, arriving in 78 days, 14 hours and forty minutes. mark beaumont, as well as being an apparently obsessive adventurer, is a more than competent raconteur and narrator, but even he struggles a smidgeon over the course of eighty days. the build-up: fundraising, planning, publicity and the round-britain trip makes for compulsive reading, along with the opening days across western europe. due to the immensity of the russian plains and the difficulty of navigating a rudimentary road network, the chapters concerning much of leg one are not only entertaining and often enlightening, but likely to have you reading 'just one more chapter'. however, given that beaumont's principal job across all 78 days was to climb aboard his bicycle at silly o'clock each day and attempt to cover the ubiquitous 240 miles, it's rather obvious that he wouldn't have had a great deal about which to write. thus, by the time he reaches australia and new zealand, the story begins to become just a bit too much same old, same old. this is not to undermine the immensity of beaumont's successful undertaking; the very thought of riding 240 miles in one day is scary enough, without repeating the exercise for another 77 days, but it would be a seriously committed cyclist who could pretend that describing a series of consecutive long days in the saddle makes for compulsive reading. and with little change from 400 pages, i fear the book might just have erred on the wrong side of too long. nonetheless, it's a book that many ought to read, cyclists or not, if only to gain an appreciation of just what an intrepid human spirit can achieve when his/her mind is set. many might question the whole point of attempting such an undertaking in the first place; yes, ultimately it might be more about mark beaumont, than any potential relationship to everyday life. but in the process, he raised a substantial sum of money for charity and provided a target at which others might aim. after all, mount everest was first successfully conquered in 1953 and nowadays features an almost endless queue waiting to ascend to the summit. according to a behavioural scientist, the fact that some people name their cars, is a form of anthropomorphism. it is, according to the same fellow, one of the factors that makes humans 'uniquely smart'. naming an inert lump of metal and glass, apparently makes it an extension of our own personality, and thus makes it easier to curse or praise, depending on whether or not it starts on cold december mornings. making a human connection with non-human, yet close entities, is allegedly a by-product of an intelligent social awareness. those of you who haven't bothered to name your motor cars as anything other than 'hyundai', 'ford' or 'porsche', for example, may not be quite as bright as you thought you were. personally, i know of no-one who has, in fact, provided their vehicular transport with a suitable apellation, though i have heard copious amounts of cursing directed at a motor car that truly could hardly care less. around the village, however, as is probably the case all across the land, there are the lewis hamilton wanabees, their cars fitted with spoilers the size of conference tables, obliterating the view from the rear window and low profile tyres on alloy wheels, mostly, it seems, designed to make the ride quality of the car as uncomfortable as possible. these vehicles either feature decals proudly proclaiming the car to be precisely what everyone knew it was in the first place, or affecting affiliation with a german-based custom tuning facility. the latter is often reinforced by the fitment of an exhaust with the diameter of a drainpipe. there is one fellow nearby who features a mock-licence plate inside the front window, affecting the nickname applied to the male members of his family, but that seems a long way from providing a name for the car. of course, given that these black and yellow pixels prefer to be molded by velocipedinal matters, whether car-naming is an outpouring of human intelligence or not, is really a moot point. but do cyclists name their carbon fibre? a less than scientific survey amongst local pelotoneers would tend to suggest not. and within the professional peloton, the trend appears to lean more towards airbrushing the rider's (often self-appointed) nickname under the clearcoat. were any of the great unwashed to do likewise, they would surely have the mick rightfully taken each and every sunday morning by the rest of the peloton. but what i find of slight concern, and i apologise in advance if this is applicable to you, is the practice of affixing the rider's name to the rearmost portion of the top tube. well do i know that there are companies advertising this service to the pelotonese, offering to typeset not only a name, but the flag of their original or adopted nationality. one can only hope that these are easy to peel off, should it become necessary or desirable to sell the bicycle at a later date. my problem, such as it is, rests on what may be less than clandestine narcissistic tendencies; for surely, do the majority of us not ride with the same set of companions year in and year out, augmented by the occasional sportive now and again? assuming a regularity in the composition of the sunday peloton, there's a good chance that everyone knows everyone else and should a new member join the merry throng, one hopes that introductions would have been made before the grand depart. but secondly, assuming the latter not to be the case, reading a name on the rear of a moving top tube, strobed by moving legs, is hardly a growing sport. and, unless the wording has been applied 'neath the clearcoat, placing your name on your pride and joy is unlikely to lead to its early return, should you be unfortunate enough to have it stolen. so, is the affixing of a rider's name to the top tube, the cyclist's equivalent of a 'mugen-honda' sticker on the back window of, well, a honda? is it the (failed) attempt to associate ourselves with the professional milieu, a means of self-aggrandisement that, hopefully, appears not to be trying too hard. in case any of you are wondering where on earth this has all come from, why i am attempting to pour scorn on an apparently innocent situation, the answer might say more about me than it says about you. it is incumbent upon those participating in the annual hot chillee london-paris ride, to affix a name sticker to one side of the helmet. for obvious reasons, this is to allow for easy identification in the midst of a sizeable peloton. however, the decent thing to do would be to remove the sticker on return to base. it transpires that, despite returnng in july 2017, i didn't; my name is still stickered to the side of my helmet and i hadn't realised. and now i feel silly. though his performances so far, in la vuelta, could hardly be described as 'scintillating', vincenzo nibali has apparently been selected as italian team leader for the world championships in innsbruck later this month. that elevated position, however, is probably one he has had to relinquish in spain ostensibly to ion izigirre, who, at the time of writing, sat in 5th place overall, a mere 17 seconds behind simon yates. the sponsors who feature their brands across the front of those red and blue jerseys are the result of a bike ride across the bahrain desert some three years past between nibali and shaikh nasser. bringing a consortium of business partners from the middle-east state together with the merida cycle manufacturing company, they claim not to be willing to settle for anything less than "over-achieving". quite how that would be defined is probably anyone's guess. the team have a choice of three merida bikes: the scultura, a machine designed particularly to succeed in the mountains, the reacto for the more regular flat stages and for time-trials, they have a bicycle with strong star-trek affiliations: the warp tt. all the above models are available from merida dealers with a variety of finishing kits, colours and prices to match. merida bikes can trace their beginnings back to the early 1970s, when their founder, the late ike tseng, paid a visit to the usa, discovering at one point that a bicycle store had banned the repair of taiwanese-made bicycles due to their poor quality. somewhat annoyed at this dismissal of his country's manufacturing status, he returned home and, in 1972, founded the merida industry co. ltd. apparently the three syllables 'me-ri-da' define the company's intention only to manufacture 'beautiful and high-quality products enabling anyone to reach her or his destination as pleasantly as possible'. oddly, vincenzo nibali has rarely, if ever, espoused such a philosophy during a post-stage interview. i find it hard to believe that any world tour rider reaches his destination 'as pleasantly as possible', no matter the name printed on the downtube. however, it is well-known that sports sponsorship is rarely carried out for reasons of altruism (though there have been one or two notable exceptions). the object of the exercise is mostly to promote one or other product on the basis of sporting success. we are thus required to suspend belief when stood on the bike shop floor, ready and willing to flex some plastic; using the case in point, merida hope to have us associate any of nibali's victories with the bicycle on which he achieved success, believing that were we to possess carbon fibre cut from the same die, trouncing members of the sunday morning peloton would be a foregone conclusion. the fact that the lot of us could be beaten by nibali riding a still-folded brompton, while updating his facebook status on an iphone, is the truth that dare not speak its name. doubtless the accountants at yuanlin, taiwan, keep close tabs on any return on their investment. though they're well entrenched in the business of building and selling bicycles, if there were any doubts regarding the effectiveness of their partnership with bahrain and vincenzo nibali, i'm sure steps would be taken to redress any negative numbers appearing at the foot of the purchase/sales ledger. all sponsors operate under differing parameters, but inevitably there will come a time when it makes commercial sense to shift the marketing spend from one area to another. for instance, perhaps in a few years' time, merida will see greater potential growth in another area under their influence. such as electricity, for instance. merida has apparently shifted more than 90,000 e-bikes in the first seven months of 2018, with forecasts indicating the figure for the year likely to reach between 150,000 and 160,000. and all that's without any sponsorship deal that equates with their involvement in the bahrain merida racing team. granted, there will be collateral benefit to be gained from a raising of their profile through the racing involvement, but since, currently, the e-bike market is several degrees removed from that of conquering the pyrenees, the dolomites or the basque region, if merida see a healthier potential future in electricity, perhaps taiwan's strategists will wish to place their yen in a different basket? and though i've confined playing devil's advocate to the merida manufacturing co. ltd., substitute the name of any other major world cycle manufacturer (and it's worth bearing in mind that merida owns 49% of specialized) and the story could very well be exactly the same. the world tour has embraced race radios, electric gear changing and, most recently, hydraulic disc brakes. whose to say downtube batteries won't be next? during my years of further education, most of my spare time was involved with playing drums in an art school band, not only at local college functions and dances, but often farther afield. inevitably, the localised gigs were organised by students or staff at the respective educational establishments, but those involving various clubs and the like around the area, were all but out of bounds unless your band was signed to an agency. for those oblivious to the existence of such individuals, simply put, they had a list of available bands, allegedly categorised by style of music ready and willing to send them anywhere within transit van driving distance. concomitantly, the aforementioned clubs had word of mouth contracts with at least one of those agents to supply them with live music each weekend of the year. should one band cancel, it was the agent's job to fill an empty stage. for this service, the agent deducted a previously agreed percentage from the evening's fee and passed on the remainder. sadly, this often happened more than a week after the gig had taken place, meaning dipping into one or more student loans to pay for petrol until the agency cheque arrived. though i'm unaware of having been in a band clever enough to have sussed a way of improving our financial remuneration, there were many who signed for multiple agencies under different names, almost guaranteeing permanent work. since we were pretty much all in one college or another at the time, permanency of work was ultimately of less importance than pursuing our studies. at least, that's what we told our tutors. i believe variations of this system are still evident today, even though the demand for live music is considerably less than was the case some forty odd years ago. as a case in point, the forthcoming islay jazz festival in the middle of september is overseen by edinburgh-based jazz scotland. in order to feature in this remarkably popular festival, it is necessary to be visible within their horizons. i live here all the time, so i'm much harder to avoid. until recently, the bicycle industry operated a similar format, explaining, amongst other things, why certain bike shops sold pinarellos, while others stocked colnago or trek. such products were acquired via those brands' distributors; if sales of any particular bicycle or component happened to unexpectedly increase, a quick call to the distributor would hopefully alleviate the situation. this has been the mainstay of the industry for more years than many a bicycle retailer would care to recall, but it's one that seems in danger of disintegrating. in november 2015, cycle case manufacturer scicon ended their relationship of several years with saddleback, distributor of, amongst others, castelli clothing, enve wheels and chris king hubs, to go dealer direct. just last month, american mountain bike manufacturer niner opted to do the same in germany and austria, while ridley bikes, the ridley-owned eddy merckx cycles and forza ended their distribution arrangement with madison. 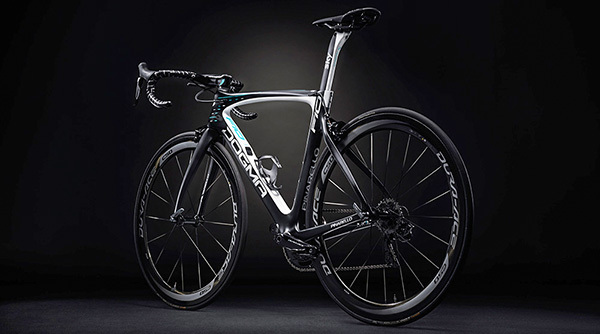 those brands are now also dealer direct, as is kona and now, as of yesterday, pinarello. the latter must surely be something of a blow to phil griffiths' yellow distribution, having lost their other flagship brand, assos to the same situation a few years ago. so what does this mean for those who still prefer to visit their local bike shop? in practice, probably nothing at all, though logically, should you wish to place an order for an oddly-sized, differently-coloured model of bicycle with a non-standard groupset, missing out the middle-man ought to speed up the delivery process. the change, however, likely has far less to do with you and me than it has with the bottom line. nonetheless, commercial project coordinator Rik Vanhoof of belgian cycling factory, owners of ridley, merckx etc., said: "...working directly with dealerships will enable us to offer a wider spread of product across our brands, as well as fast availability and shipping through our dealer [network]". pinarello were less revealing, ceo fausto pinarello thanking phil griffiths for his support and enthusiasm over the past twenty years, but continuing, "We want to make this investment for our brand. The UK [and Ireland] are very important markets for Pinarello and we look forward to working directly with retailers here." even those of us who struggle to spell 'economics', can figure that, if the manufacturer now sells his/her product direct to the bicycle shop, they are presented with the option of reducing the retail prices by the profit margin they used to allow the distributor. i'm sure that we all look forward to the dawning of that day, but i wouldn't hold your breath if i were you. pinarello is currently owned by louis vuitton moet hennessey, a company bereft of the word 'bicycle' in its name; it's a lifestyle company, one that expects to maximise its annual profits for the benefits of its shareholders, few of whom, i'd wager, would know a press-fit bottom bracket if it offered to buy them a carton of orange juice and likely unable to spell kwiatowski, if they even knew why a red jersey was currently an important target. it's big business, jim, but exactly as we know it.